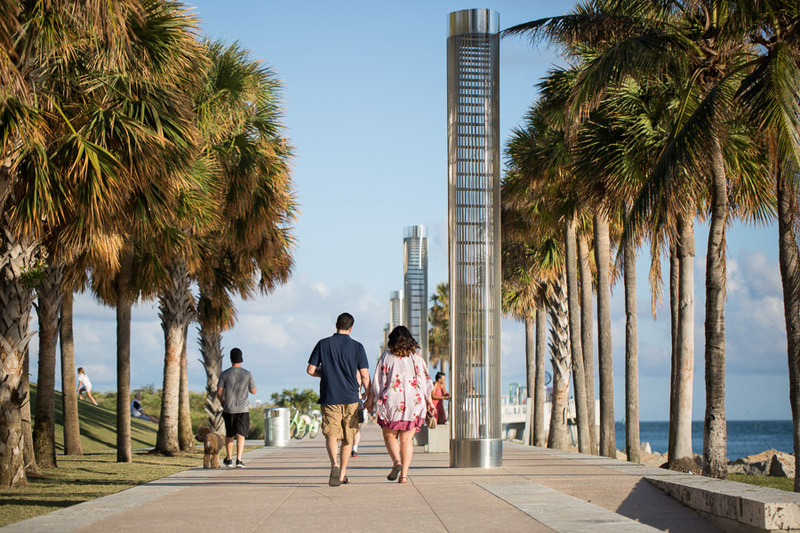 They went for a walk down the pathway at South Pointe Park until they got to the beach. 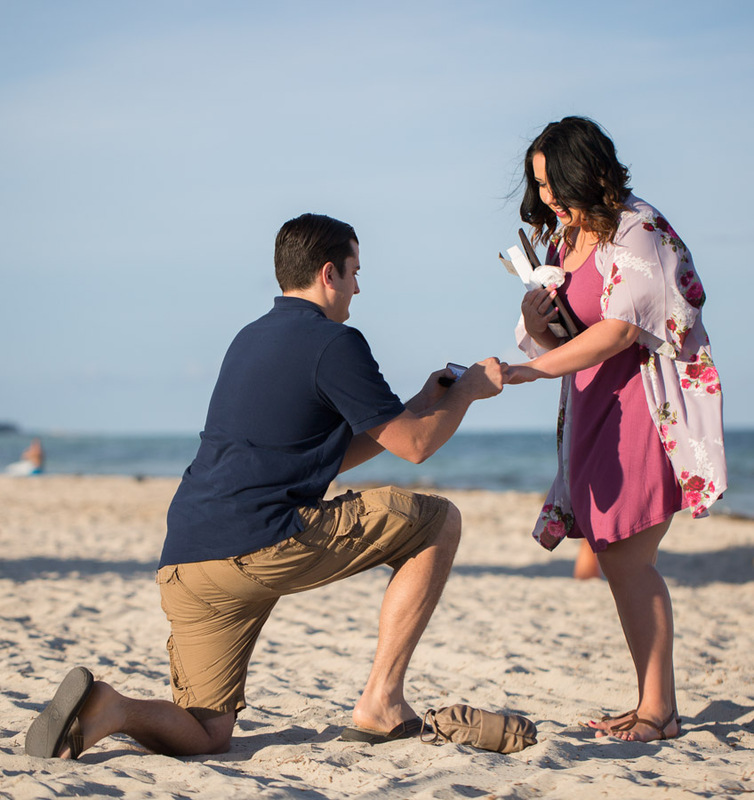 He handed her a gift and said it was for her birthday. 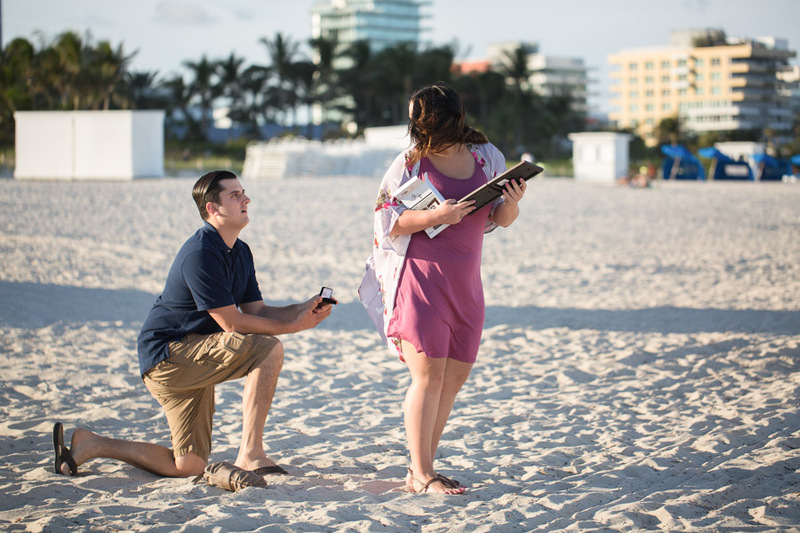 Inside was a frame with a photo of their two dogs wearing signs that said Mommy will you marry Daddy? 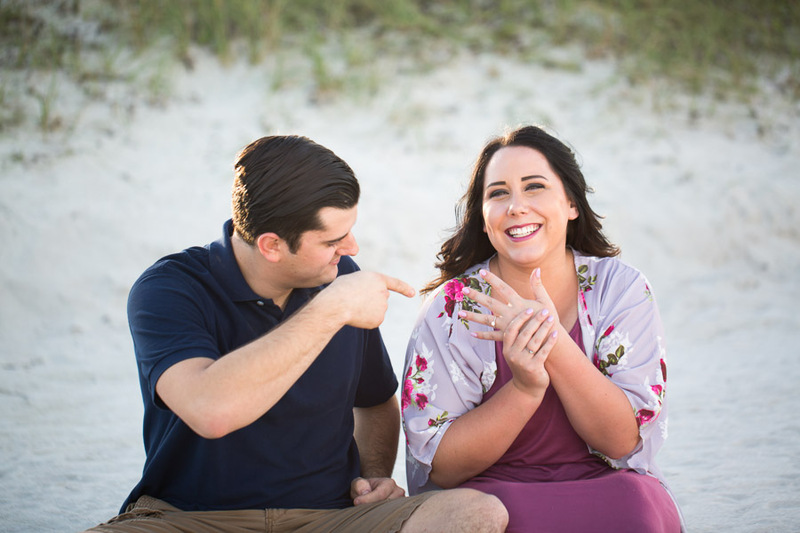 She was shocked. 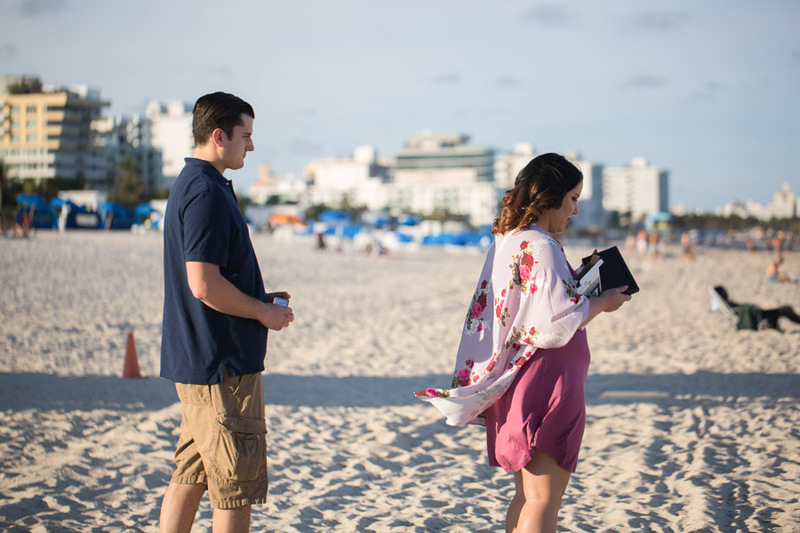 Completely overwhelmed with emotion, they embraced and then she took another look at the photo, taking it all in. 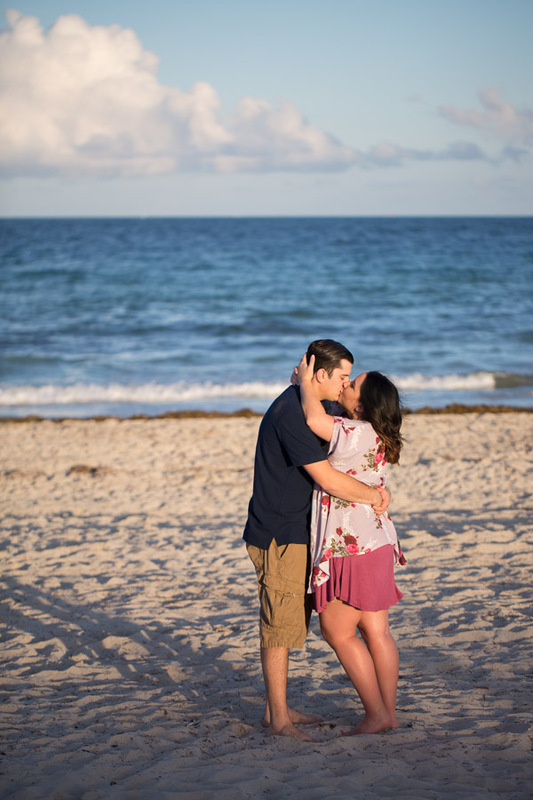 She had no clue of course that I was there to capture it all. 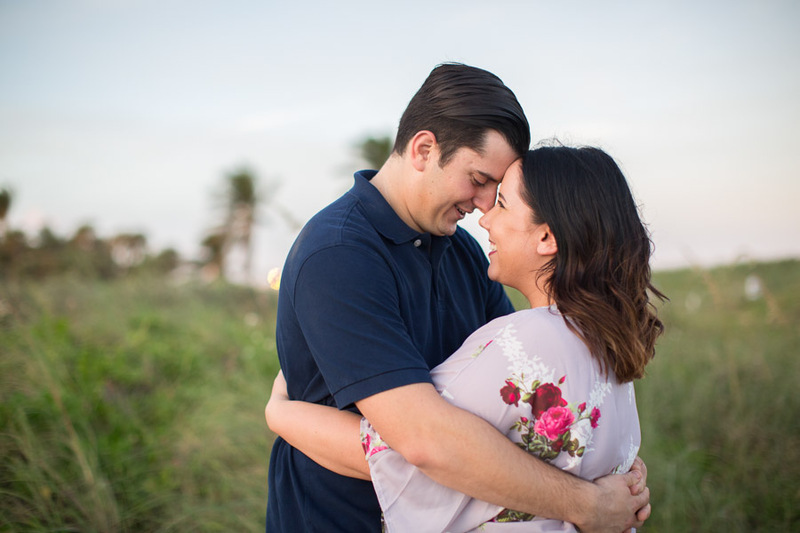 I’m really so lucky to be able to witness and document these moments in people’s lives. 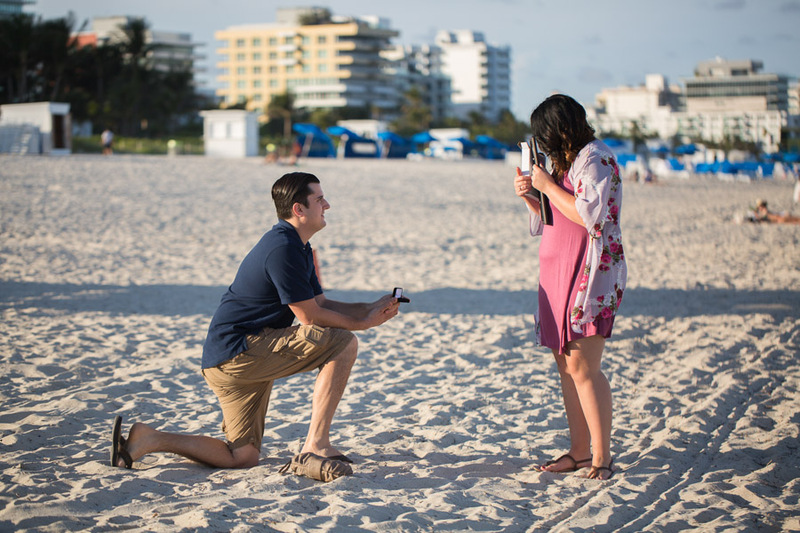 You can view all of the Miami surprise proposal photography sessions on the blog. 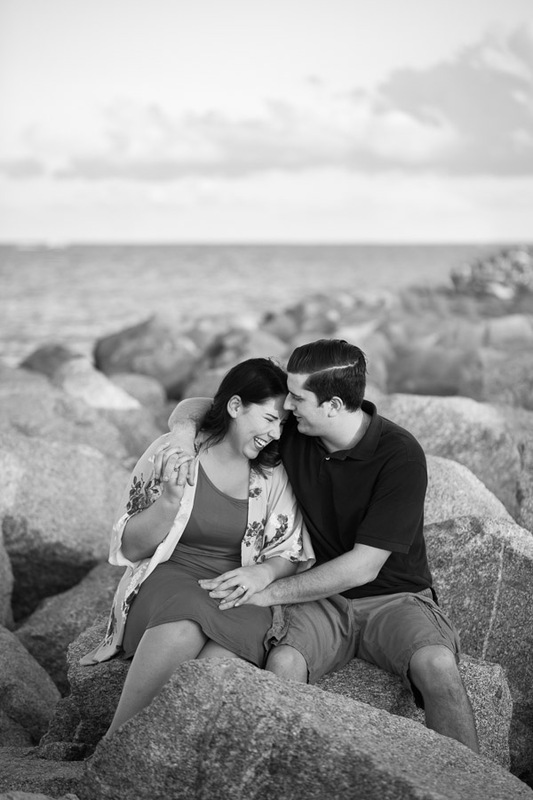 You can also check out the couple photography shoots. 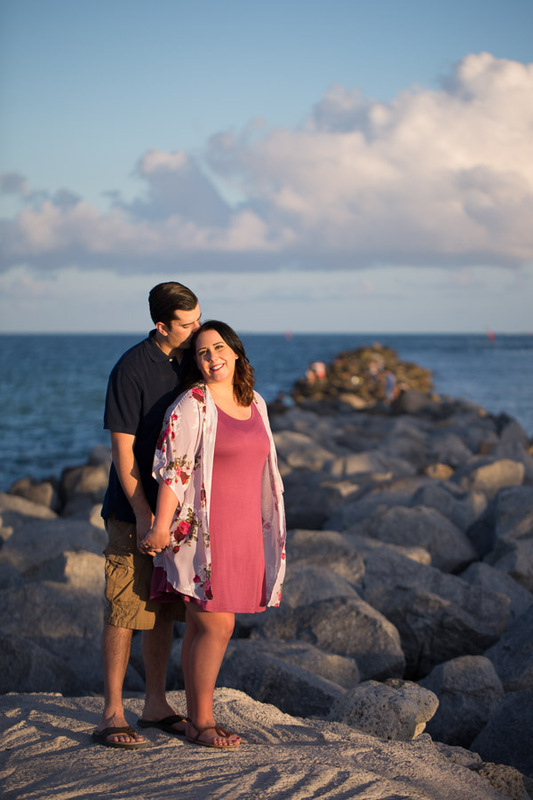 Here are all the photo sessions at South Pointe Park. 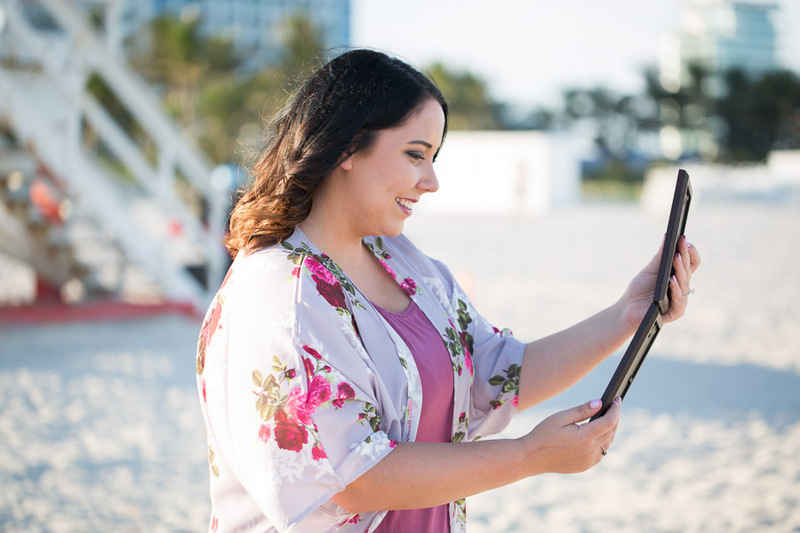 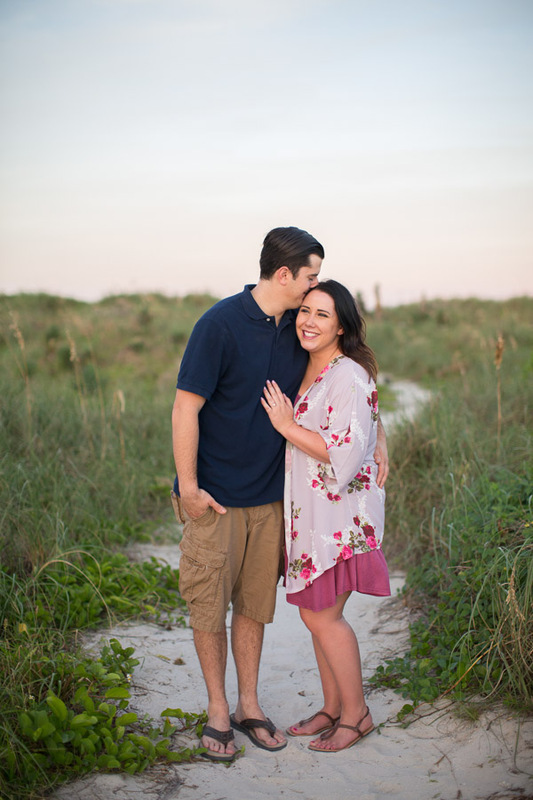 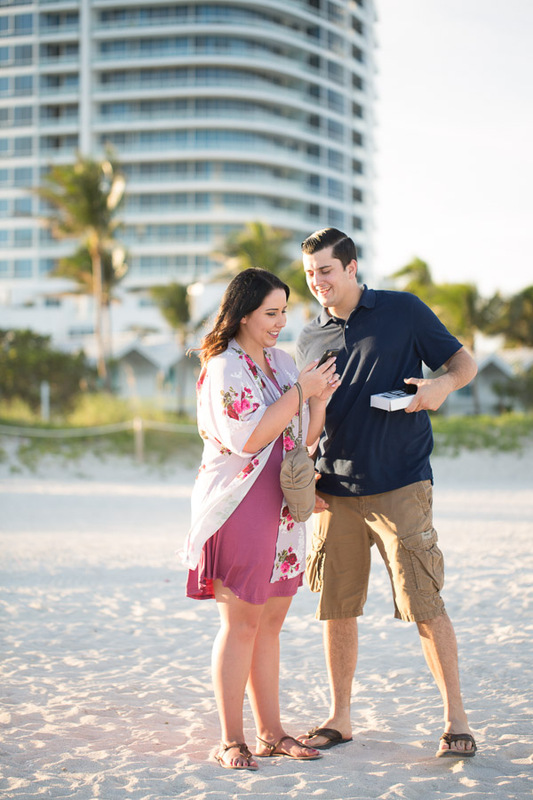 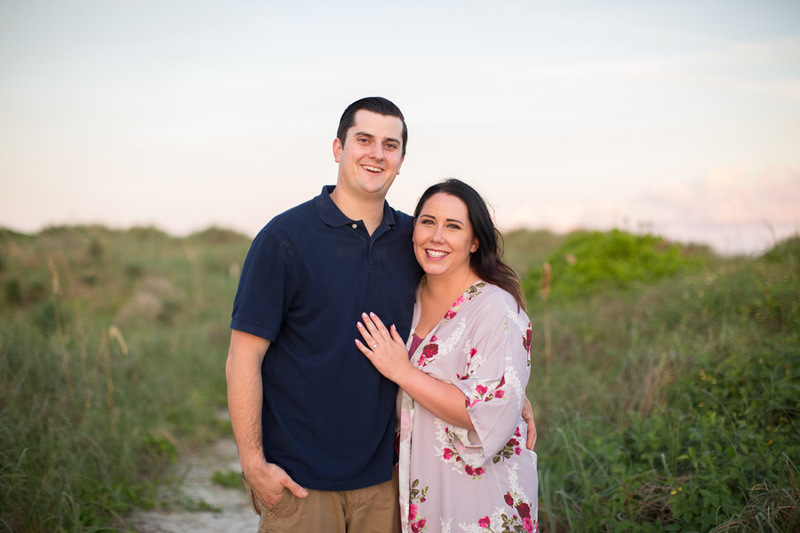 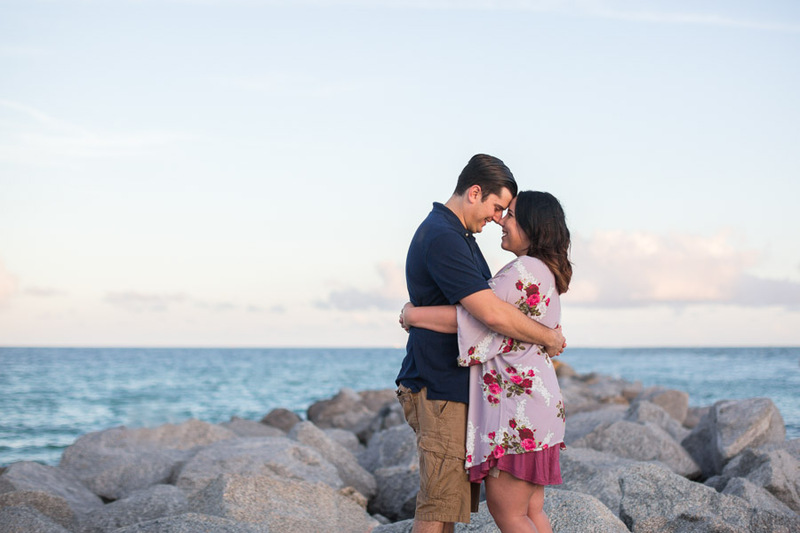 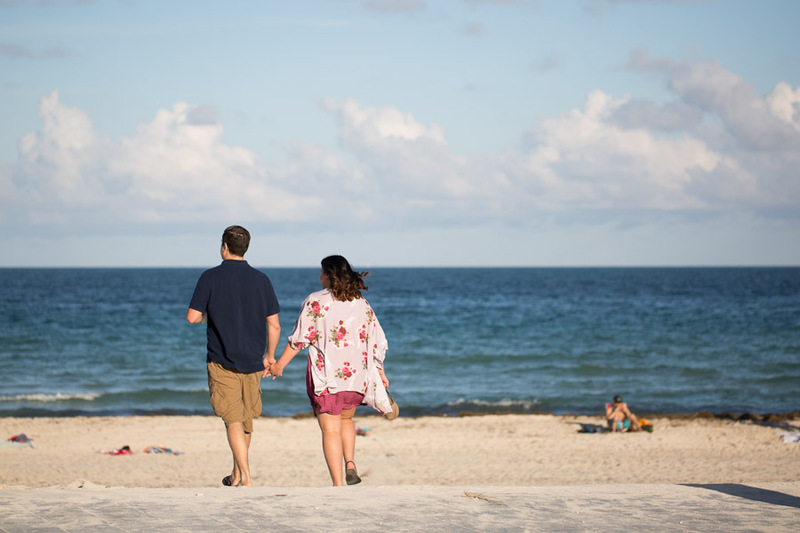 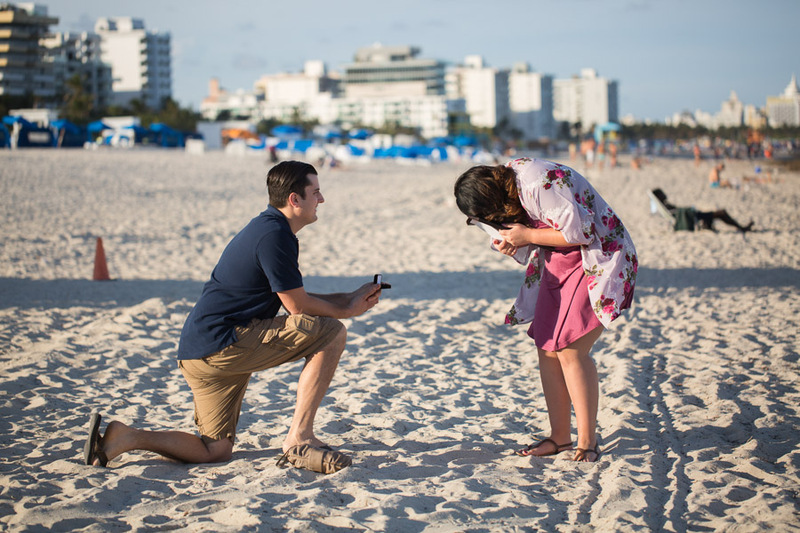 This entry was posted in Surprise Proposals and tagged Couples, Miami Beach, miami proposal, miami proposal photographer, South Pointe Park, surprise proposal on May 2, 2018 by Tova Photography.